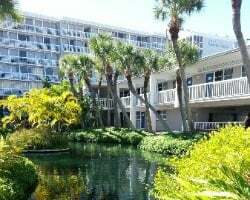 *Bluegreen at Tradewinds* is a beautiful retreat located on the white sands of St. Petersburg Beach, Florida. This stunning beach runs along the Gulf of Mexico for 22 miles, and was voted the #1 beach location in TripAdvisor's 2012 Traveler's Choice Awards! The resort encompasses 20 acres of tropical paradise, which offers both relaxation and fun with the many on-site amenities and activities. The resort has both casual and fine dining, beach bars, a spa & fitness center, pools and tennis. The beachfront water activities are limitless; try a stand-up paddleboard, motorized boards or even a water-propelled jet pack. The whole family will enjoy Splash Island Waterpark and the 3-story waterslide. 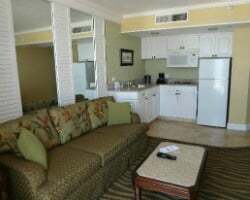 For more information about this enticing piece of paradise and other Bluegreen resorts, visit www.bluegreenonline.com. 6,000 even year points! Points can be used anywhere in the Bluegreen network! Buyer may receive a title fee credit, inquire for details! Soak up the fun and sun of the St. Pete Beach with 6,000 annual points! Buyer may receive a title fee credit, inquire for details! 24,000 biennial even! Points can be used anywhere in the Bluegreen network! Buyer may receive a title fee credit, inquire for details! 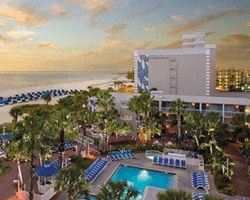 Enjoy relaxing vacations at St Pete's or use 5,000 annual points for greater flexibility! Buyer may receive a title fee credit, inquire for details! All 20,000 points are available for immediate usage! Buyer may receive a title fee credit, inquire for details! 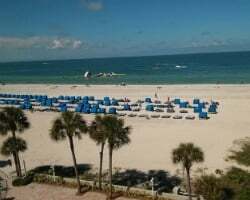 Enjoy St. Petersburg Beach & all of Bluegreen's destinations! 40,000 yearly points! Buyer may receive a title fee credit; inquire for details! Enjoy staying in Florida or at any any location in the Bluegreen network! Buyer May Receive A Title Fee Credit, Inquire For Details! Sale includes 10,000 annual pts! Stay at tradewinds or any resort in the Bluegreen Network! Buyer May Receive A Title Fee Credit, Inquire For Details! 6,000 biennial odd points! Discover locations throughout the Bluegreen Network! Buyer May Receive A Title Fee Credit, Inquire For Details! Sale includes 10,000 annual points! Buyer May Receive A Title Fee Credit, Inquire For Details! Endless possibilities available with the use of 12,000 points! Buyer May Receive A Title Fee Credit, Inquire For Details! Sale includes 6,000 biennial points! Buyer May Receive A Title Fee Credit, Inquire For Details! Sale includes 4,000 annual points! Use the points anywhere in the Bluegreen network! Buyer may receive a title fee credit, inquire today! Sale includes 31,000 annual points! Buyer May Receive A Title Fee Credit, Inquire For Details! Sale includes 7,000 annual points! Also see ad 2341772 for an additional 10,000 annual points! Make an offer today! Sale includes 21,000 annual points! 42,000 Points included w/sale that provides multiple vacations per year! Buyer may receive a title fee credit! Stay at this Stunning resort right on the beach or anywhere in the network! Buyer may receive a title fee credit, inquire for details! 20,000 annual points! Stay at this resort or any resort in the Bluegreen network. Buyer may receive a title fee credit, inquire for details! Sale includes 13,500 annual points! Buyer May Receive A Title Fee Credit, Inquire For Details!